Daily Debate: What Is Your Favorite Instrument In Link’s Awakening? Link’s Awakening is centered around the collection of the Instruments of the Sirens. 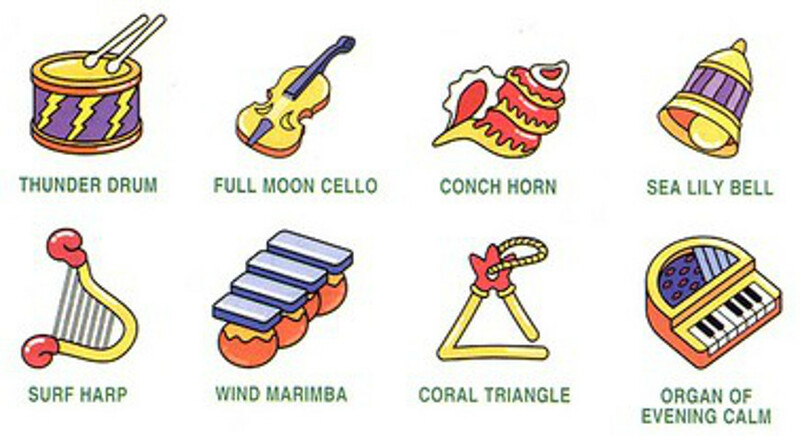 These eight magical instruments are the main goal of Link’s quest to wake the mystical Wind Fish. Each instrument is found at the end of one of the eight corresponding dungeons of the game. Each instrument collected adds one more piece to the “Ballad of the Wind Fish”, the melody that is supposed to be able to awaken the Wind Fish. The eight instruments, the Full Moon Cello, the Conch Horn, the Sea Lily’s Bell, the Surf Harp, the Wind Marimba, the Coral Triangle, the Organ of Evening Calm, and the Thunder Drum, once collected, grant Link access to the final dungeon, the Wind Fish’s Egg, a dark maze that leads to the final Nightmare. To me, the most interesting thing about each instrument is that when they are picked up, you are rewarded with a variation of the “Ballad of the Wind Fish”, heavily featuring the instrument you just received. It is difficult for me to choose a favorite of the instruments because I play a good chunk of them, but I think that my choice goes to the Wind Marimba. I love the simple melody it adds, as well as the sound of the real-life instrument. Which instrument is your favorite? Is it because of the sound or the dungeon it is found in? Let us know in the comments!